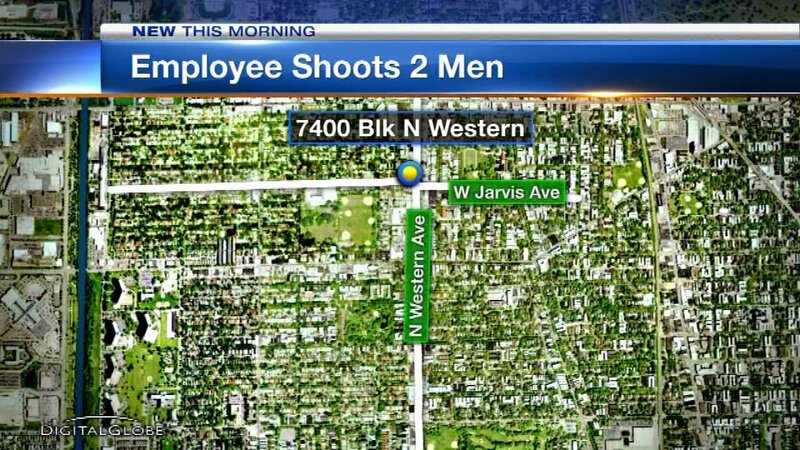 An employee shot two men who police said were attempting to rob his West Rogers Park store. CHICAGO (WLS) -- An employee of a business in West Rogers Park shot two people who tried to rob his store Sunday, police said. The incident happened at a store on the 7400-block of North Western Avenue at about 9:46 p.m. The two suspects entered the store an announced a robbery. The employee fired a weapon and hit both suspects, who fled the scene. The men were taken into custody a short time later. One was hospitalized with a wound to the shoulder and the other wounded in the right forearm. The store employee has a valid concealed carry license. He was not seriously hurt.